MIFTAH recently launched a project entitled: “Youth as Human Rights Defenders”, which will be implemented over the next three years, 2018-2021, with funding from the EU via the European Instrument for Democracy and Human Rights. The project is in line with MIFTAH’s strategic approaches to empower and mobilize the various components of Palestinian society in spreading awareness on international human rights standards and promoting the commitment of all parties in this regard. 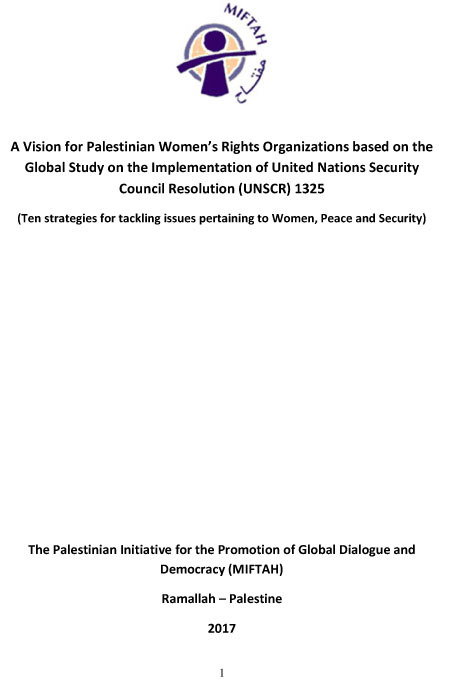 It is aimed at supporting the application of human rights mechanisms, first and foremost The International Covenant on Civil and Political Rights (ICCPR) in five areas of Palestine: two in each of East Jerusalem and the Access Restricted Area of the Gaza Strip, in addition to the old city of Hebron. In this context, the project aims to promote the participation of youth as human rights defenders in monitoring and documenting Israeli violations and those resulting from the current gaps in the Palestinian legal system in the five locations. It will enable the defenders to prepare reports on these violations in accordance with international human rights standards. The reports’ outputs will then be utilized to expand the circle of networking, advocacy and lobbying towards prompting the protection of human rights, especially for weak and marginalized societal groups, namely women, children and people with disability. Youth activists from Jerusalem, Hebron and Gaza will be recruited and their capacities developed in terms of knowledge, skills and tools to enable them to monitor and document violations. The youth will also be provided with institutional support from grassroots organizations that will host them in the various targeted locations. 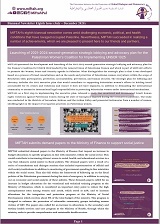 Documentation tools of human rights violations will be developed in a manner to ensure non-duplication of interventions and results, through adapting identified rights to the Palestinian context using the Universal Human Rights Index. These tools will also be used in the drafting of quarterly reports and factsheets in addition to analytical research that will shed light on accumulative violations in these areas. Furthermore, these reports and research will be used to open dialogue with relevant national and international parties in order to determine priorities and demands and to pressure international parties to hold Israel accountable for the grave human rights violations it commits. In addition, advocacy will be broadened to include the international community at the global level, whereby the results and outputs of the work of the youth groups will be presented at the Human Rights Council in Geneva. Project coordinator, Tamara Tamimi stressed on the importance of expanding the base of Palestinian interaction at the international level through pressuring relevant parties to shoulder their responsibilities in accordance with international law and to hold the occupation and all violators of human rights accountable for their actions, especially those amounting to international crimes. Tamimi explained that in line with MIFTAH’s approach towards expanding the circle of networking and coordination between civil society organizations and in order to build on the achievements of institutions working in the field of human rights, MIFTAH created a steering committee comprised of relevant institutions in the West Bank and Gaza Strip, which will support MIFTAH by providing legal and rights-related consultation, advice and guidance and which will remain with the project through all its stages.